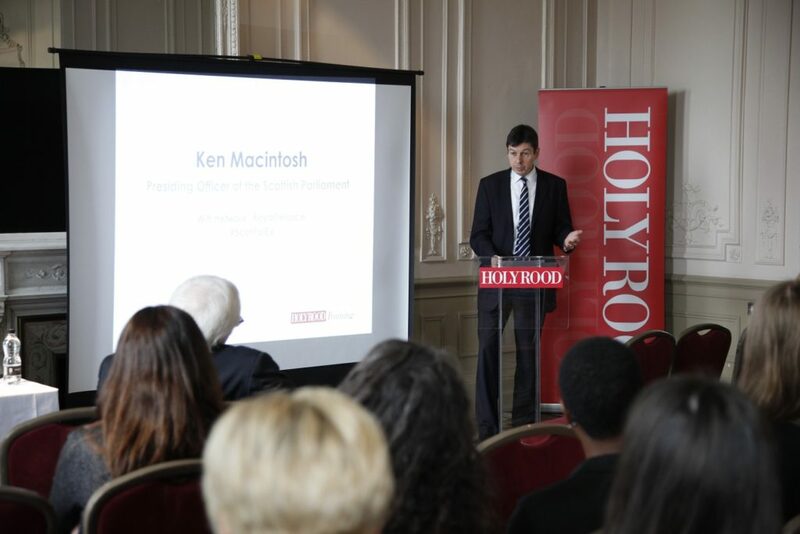 Read my speech “Keeping Order – the Role of the Presiding Officer” to delegates at the Scottish Politics Explained 2017 conference held by Holyrood Communications. Good afternoon ladies and gentlemen and can I first of all thank you for your attendance at today’s conference and for your clear interest in Scottish politics and the Scottish Parliament. I would also like to thank Mandy Rhodes for her invitation to speak to you on my role as Presiding Officer and I am very pleased to be included in the impressive range of speakers and panellists Mandy has lined up for you. I do hope we leave you with a clearer understanding of politics and the Parliament in Scotland. I say that while being very aware that in the space of less than a year we’ve voted to leave the European Union, the Americans have elected Donald Trump as their President and we’re in the middle of a debate about whether to have a second Scottish Independence Referendum. So, in terms of my contribution, I worry that the title of the conference ‘Politics Explained’ might be a little ambitious. It’s still relatively early days for me in my role as Presiding Officer, but if I may, I would like to provide you with a brief overview of my journey to becoming PO as well as the role itself. I’d also like to speak a little about the independent Commission I have set up on parliamentary reform, and finally I’ll touch on the wider political context in Scotland. I should start by declaring that before becoming an MSP I did actually have a proper job. I was a Television Producer and Broadcast journalist with the BBC for thirteen years working mostly on news and current affairs programmes. My political journey began slightly earlier when I joined the Labour Party while at university but that was for many reasons including as a protest against industrial and political strife and was certainly not a career move. It was only the advent of the Scottish Parliament that made me even contemplate putting myself forward as a candidate. I had always been a devolutionist, and the late 90’s were heady times. Tony Blair had just swept into Downing Street and had passed the Scotland Act within the first hundred days. I will never forget that feeling of being elected to the first Scottish Parliament – the sense of expectation and hope: The idea of working across party lines, of genuinely sharing power with the people, of being open and transparent in our working. The promise of a new kind of politics. In the 17 years since, I have been a backbench MSP, a Ministerial aide and have held various positions in the Shadow Cabinet including finance, education, and culture. I stood not once, but twice to be Labour leader – proving I think that some of us never learn from experience. My platform was to argue for a more positive focus, what we are for rather than what we are against, a greater willingness to work with other parties and against the tribalism that I believe damages Scottish politics. It was not a persuasive argument in the leadership elections, but on the upside, the very same approach proved successful when I ran to be Presiding Officer. The vote to choose a new Presiding Officer is the first decision we MSPs take after we are elected and sworn in. Although I was aware how privileged a position it is, it was not something I had given any immediate consideration to before last year’s elections. In fact, when I spoke to my wife I said that I thought I might be too young to put myself forward. Claire said – rather mercilessly I thought – whatever else you need to weigh up, you’re not too young. The vote itself is a secret ballot – the only vote that is secret in the Scottish Parliament – and so is freer than perhaps other votes from the influence of the parties and the whips. As you might imagine, I was delighted – in fact honoured to be chosen and am very conscious of the responsibility that goes with the position. The main quality I believe my MSP colleagues are looking for in the Presiding Officer is trust and as PO, I am now and have to be politically impartial in everything that I do. I can’t put down motions, ask questions or even vote other than to use the casting vote. My primary role in Parliament is to oversee proceedings, choose questions, speakers and amendments. Keeping order has not turned out to be as difficult as you might have imagined although I am very conscious of possibly speaking too soon – so not yet at least. A more unexpected problem is in knowing whether or not to laugh at any of the Members’ jokes. You might think it is easy not to do so, but when every speaker addresses their remarks directly to me, it is difficult to stone face their witticisms. Imagine Nicola Sturgeon looking straight at you and telling you a joke at the expense of Ruth Davidson, who is also looking straight at you. What would you do? I have a further three specific roles: I chair the Scottish Parliamentary Corporate Body, the board which supervises the running of the organisation, the building and its staff; I chair the Parliamentary Bureau which decides on Parliamentary business, and I represent the Parliament at home and abroad. To expand on those roles, the Scottish Parliament Corporate Body or SPCB as we all call it, has the task of running the Parliament itself. I believe our Chief Executive, Sir Paul Grice, spoke to you earlier this morning and my job is essentially to be Chairman of the Board. It is a fairly sizeable organisation and alongside the 129 MSPs there might be 1,000 people in the building on any one day with an annual budget of £80 million or so. So the board has to deal with all the matters you might expect including our own security, our own postal service and our own catering – as well as more political matters. Just to give you an example, one issue I immediately inherited on taking up office was the eviction of the independence campers. I am not sure if you remember them – a group who set up their caravans and tents on the Parliamentary estate and made it clear they were not for budging. As you might imagine, we wanted rid of them but this turned into a long drawn out saga. We had to do things properly, proportionately, and above all legally – not as straightforward as you might hope. To give you a flavour, when we took them to court, one claimed to be the Messiah – and not to be outdone, a second one said he was the real Messiah. Monty Python. But potential for reputational damage. Representing the Scottish Parliament at home and internationally is another aspect of my role as Presiding Officer. Enjoyed my first audience with the Queen. Lese Majeste – Chins on chest – ringing the bell. Being PO is not a party political post, but I do have an agenda and that is to continue the process of parliamentary reform. When I first became an MSP, the Scottish Parliament was hailed as ground-breaking, but although it has grown in confidence as an institution, it is now as likely to be criticised for being divisive as praised for its inclusivity. The broader picture nationally and internationally as you will be as well aware as I am, is of a worryingly febrile political environment. Against that, the good news from my perspective is that 2016 saw a huge intake of new MSPs, more than 50 out of the total 129, and that has allowed Holyrood to recapture some of that optimistic spirit of ’99. We have the opportunity to remake our vows – to recommit to the open, engaging Parliament I think Scotland wants to see. That is why, one of the first actions I have taken as Presiding Officer has been to create an independent Commission on Parliamentary Reform. I will return to that in a moment but I have already made a few changes to the way we conduct our business. One of my first decisions was to extend the length of FMQs to allow more questions from backbenchers and to introduce supplementary questions on any topic of the day without the need to give advance notice. My approach has never been that of a teacher scolding his students. The MSPs I know are incredibly aware of the privilege it is to represent the people of Scotland in the Scottish Parliament – they may be passionate, but most of the time they treat each other courteously and respectfully. It is still a bit early to say how this approach will work during the most heated and politically contentious debates of which I’m sure we have many to come. Not least the debate on Scotland’s Choice that is continuing this afternoon! However, as Presiding Officer I am also aware that I have to make sure the Parliament is fit for purpose within the realm of constant change. My feeling, for example, is that it has become very difficult and challenging for MSPs to find the space to develop in their distinct roles as parliamentarians. The Parliament will turn 21 during this session and has experienced coalition, majority and minority governments, further devolution of powers, and digital reform. That is why, one of the first actions I have taken as Presiding Officer is to create an independent Commission on Parliamentary Reform to reflect on these experiences and consider how the Parliament should evolve to ensure it best meets the needs of the Scottish people now and in the years to come. I asked John McCormick, a former Electoral Commissioner for Scotland and BBC Scotland Controller, to chair the Commission, with membership from the five political parties currently represented at Holyrood, and five individuals from civic society, including equalities groups, the Youth Parliament, the education sector and public policy. While I could have asked the Parliament to carry out another internal review which have previously brought about ad hoc changes, I felt it was timely for an independent group to take a fresh, fundamental look at how effectively the Parliament conducts its business 17 years on. Most importantly, I’ve asked the Commission to come up with practical recommendations for change, not just theoretical ideas. Since its establishment in October, the Commission has been working hard listening to a wide range of views from individuals and organisations the length and breadth of Scotland. John and the rest of the members have listened to views in Skye, Galashiels, Easterhouse and Inverness to name a few places. They have taken formal evidence from former First Ministers, and had informal sessions with former MSPs and parliamentary staff. And, the good news is there’s still a short window of time for you to contribute and submit your views to the Commission – they and I would really value your thoughts, debate and discussion of how the Parliament can evolve further into a forum for broad-minded, tolerant, and open thinking. The closing date for written submissions or to take part in the online survey is this forthcoming Monday 27th March. Reflection on the events of the past year…Scottish Parliament’s response and what next? Returning to the political matters before us today – I am conscious we hold our discussions and debates against a backdrop where some countries appear to be less tolerant, societies less open, and some people less willing to listen and respect other viewpoints. It strikes me that it is more important than ever that we have confidence in the checks and balances that are in place to protect democracy. Scottish institutions – including and especially the Parliament – must continue to play an important part in promoting healthy, respectful debate and disputation, broadening outlooks, the sharing of ideas, democratic values, and freedom of expression. The Scottish Parliament is and needs to be fit for purpose to provide a key forum for open and respectful debate and, vitally, to robustly hold the government of whatever hue to account for its policy decisions. 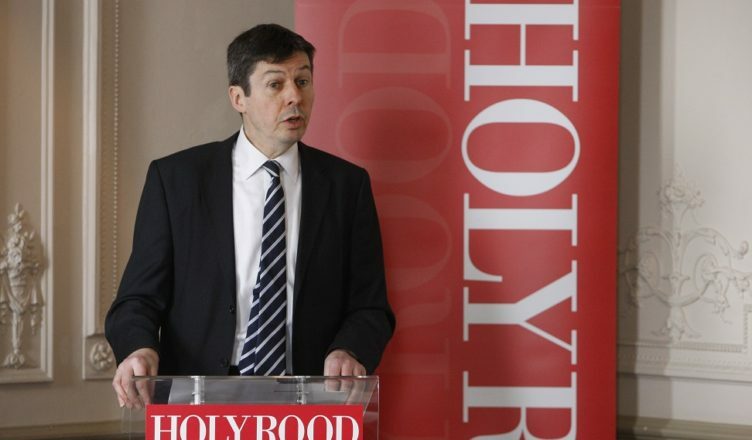 I believe the expectations of the current session of Parliament were that we would be dominated by debate around the new powers devolved to Holyrood – in particular our decisions over tax and welfare. Instead, the European Referendum has re-ignited constitutional debate around Scotland’s future in the UK. In the Parliament, many of our committees have devoted huge amounts of time scrutinising some of the issues that may arise, and similarly in the chamber in plenary session we have spent much of our time debating the implications since last June. The domestic process of withdrawing from the EU. If you’re interested, you can read this report and the Official Report from the Debate on that report, and other debates, on the Scottish Parliament’s website. In addition, we have started to look at the role of the Parliament in scrutinising the activities of the Scottish Government on this matter and how we can facilitate debate – it is important that Parliaments play a role, at the very least informing the public of the main issues. Looking further ahead to the medium term we also need to consider the impact of triggering Article 50, The Great Repeal Bill and the legislative processes that will follow. We need to address what will happen in respect of powers such as agriculture and fishing – devolved competencies which are currently operated under the EU common agriculture and fisheries policies. The Scottish Parliament is currently in the middle of a 2 day debate on the Scottish Government’s proposal to formally ask for a Section 30 agreement between the UK and Scottish Government to allow the Scottish Government to hold a second Referendum on Scottish Independence. As you can imagine these are highly contentious issues but if you are interested in reading or watching the debate and interested in the outcome of tonight’s vote I would encourage you to log on to the Parliament’s website after this event to watch it retrospectively or read the Official Report of the proceedings. Now I have tried to give you an overview as to my role as Presiding Officer and some of the current issues facing the Scottish Parliament but I am conscious there are many issues I have not been able to address – how do I go about selecting questions to be asked at Topical Questions on a Tuesday and at the theatre of First Minister’s Questions on Thursdays. How do I exercise my casting vote. What is my role in deciding on the competence of legislation brought before the Parliament. I am happy to answer questions on these and indeed any other issue you wish to raise. Before concluding I just want to touch briefly again on leadership. Being elected by my peers to the role of Presiding Officer I have been elected into a significant role where the fundamentals of leadership cannot be underestimated. Those of us in a leadership position need to ask ourselves what we are doing to make a positive difference. Are we thinking clearly enough about what is coming next? Are we preparing our organisations – and specifically the people who work in them – to meet the challenges? I am hoping I can draw some answers to these from the Commission when it reports in the summer. I hope my remarks today have shed some light on my role as Presiding Officer, my reflections on the past year and some insights to my thoughts and well as the Scottish Parliament’s response to the main challenges in the current political climate.